Christmas is such a wonderful time to make memories! I am so blessed to have a childhood full of wonderful memories in the kitchen of my home. Now that I’m a parent I make sure to take the time to create those same type of memories for my children. If you don’t have children of your own, that’s ok! These kinds of treats can be done with your nieces and nephews, neighbors, students, a friend’s family, or grandkids. It doesn’t stop there either. These are things you can do with your friends too. Kitchen memories are for everyone, and in my opinion, they are some of the best kind of memories there are! It will get messy!!!! Just prep yourself for that. It doesn’t matter if you are doing a simple cookie cut out with no frosting involved, somehow the dough will end up smeared and you will find chunks of it under the table. Just take a deep breath and have fun. Not everything will turn out perfect, or even cute. Frosting and sprinkles get to a certain point when they’ve been mixed and piled on top of each other so much that they look brown and not even appetizing (to an adult that is). That’s ok. They are still having fun and it’s all sugar, the kids will like eating it no matter what! It’s about creating memories. It’s ok if the treat ends up tasting gross or if it takes three days to clean up your kitchen afterwards. The kids are just in heaven that they have free rein over something! Let them have it, and smile at the time you are spending together! It’s really something you all will cherish for the rest of your life. 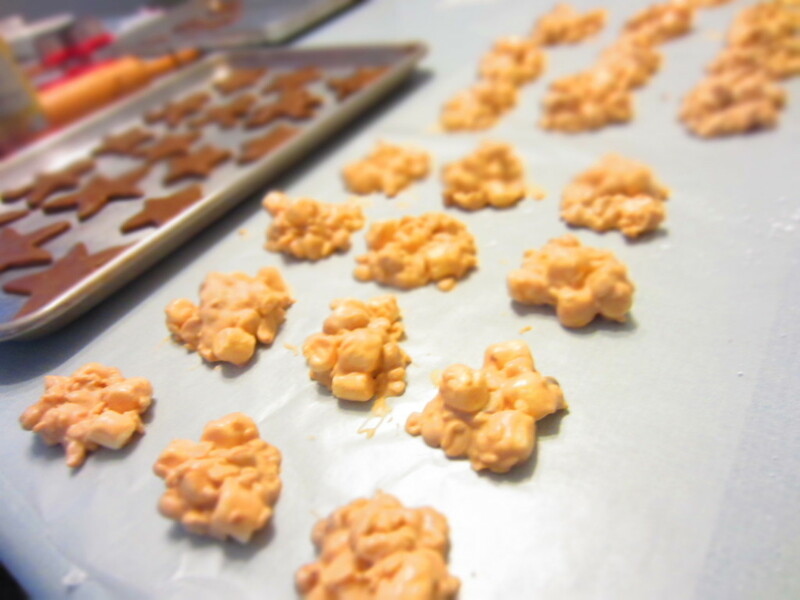 My Favorite Christmas Treats to Make With Kids! Cutouts are such a great traditional thing to do with kids. Especially because you can whip up the dough by yourself and they feel super involved because they get to cut everything out with the cookie cutters. I have a great Sugar Cookie recipe that doesn’t require any refrigerating the dough. They also work great for drop sugar cookies if you aren’t into rolling and cutting out dough. I like to make a glaze with sugar cookies (because I like the taste better than the frosting). 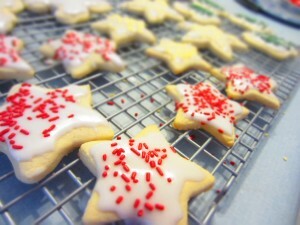 You can find the glaze recipe beneath the sugar cookie recipe. 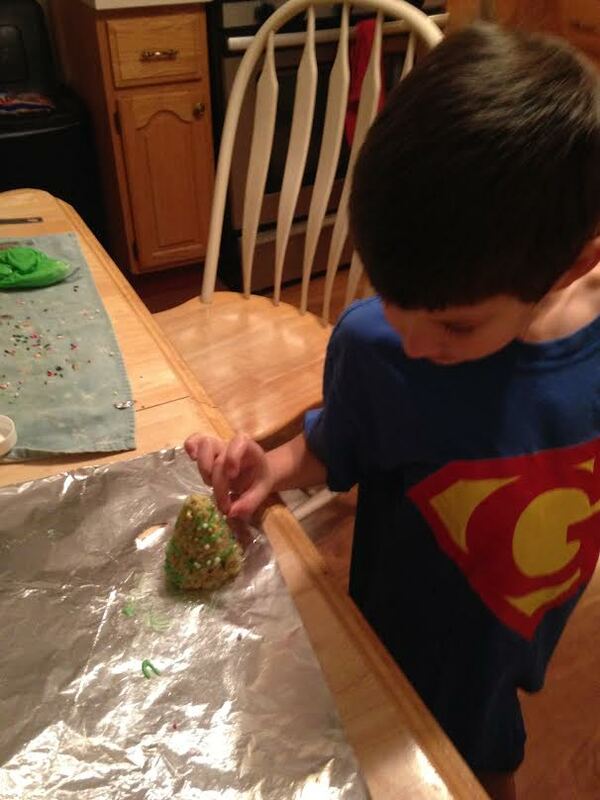 I will put on the glaze and let the kids immediately go crazy with the sprinkles. If you want to go for the traditional frosting you can find a good butter cream recipe by clicking here, thanks to addapinch.com. Feel free to divide it all up and color it to your liking! You can always buy dough and frosting if you are reading all this and feeling overwhelmed! 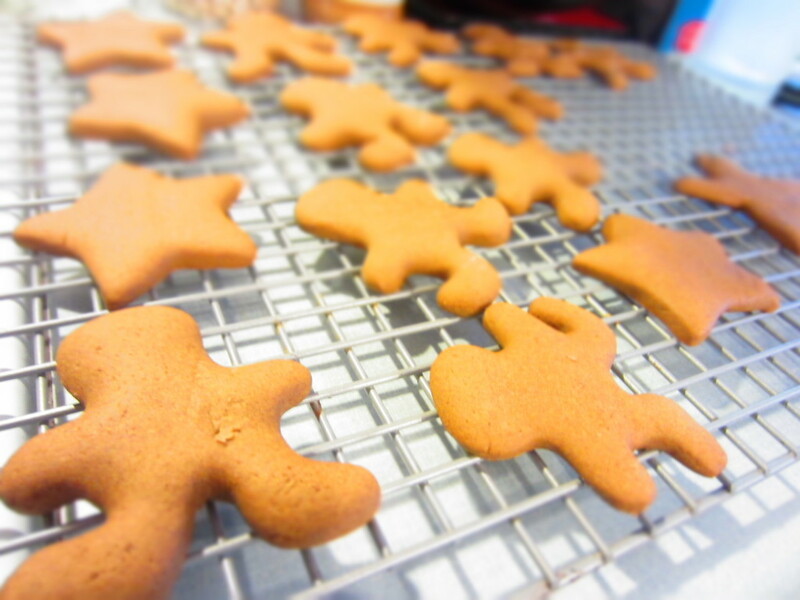 Ginger Bread Cookies are another great cut out option. The recipe I share provides a nice, soft, ginger bread! 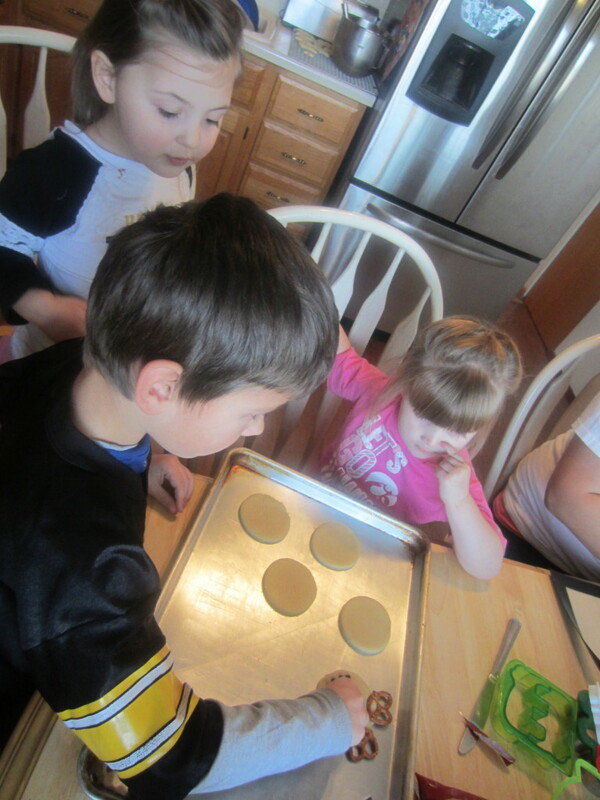 Using sugar cookie dough, cut out circles. If you don’t have a circle cut out, use a large glass that has been dipped in flour. 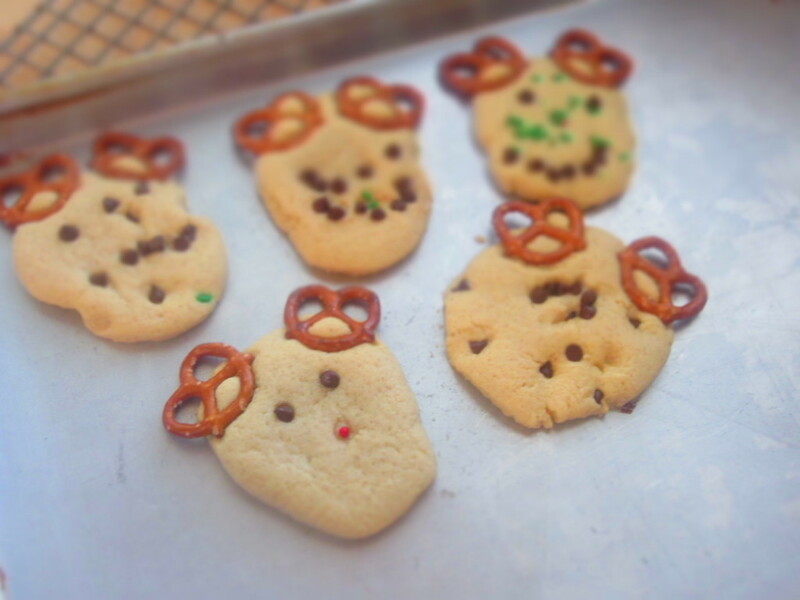 Add Pretzels for the antlers. Use M&M’s or mini chocolate chips to add eyes and a nose. Squeeze the “cheeks” to make a more narrow face (like a reindeer). 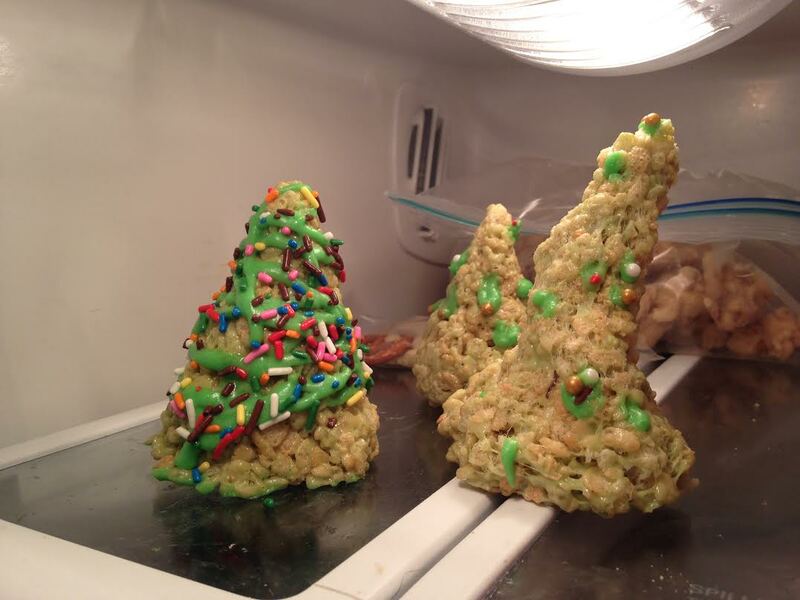 Make Rice Crispy Treats as usual but add some green food coloring into the melted marshmallows. Form them into cones by hand or if you have a cone form make sure to grease it before use! 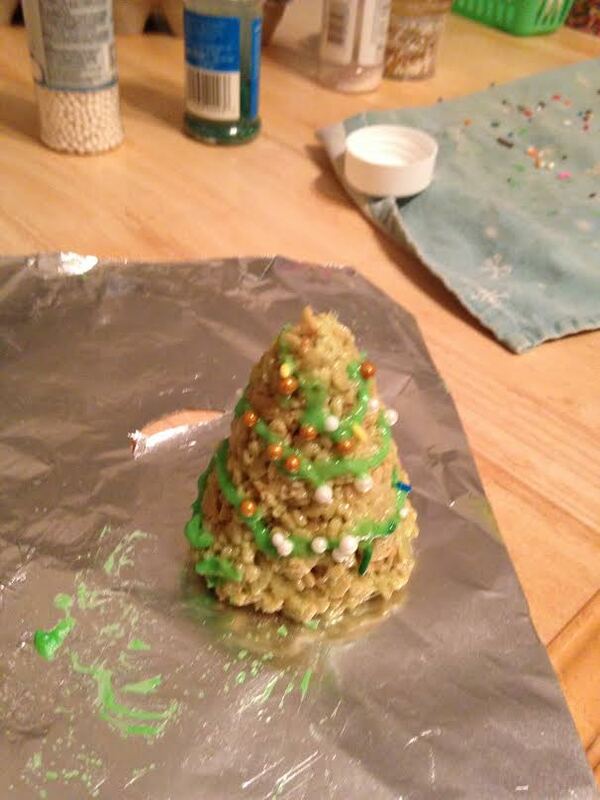 Then let the kids decorate the “Christmas Trees” (aka let them go crazy with sprinkles and frosting). No need to get a fancy piping bag for the frosting. Just use a plastic bag and clip the corner. Blonde Rocky Road Candies have a firm place in my memories of childhood. They were a staple Christmas time item at my home growing up and it has become a staple in my own home as well. The chocolate melting in this is about the only thing that the kids might not be able to help with. If you melt the chocolate in the microwave though, they will be able to push the buttons! Once you get the chocolate into a cool bowl this is a great recipe to do with kids. It’s very forgiving! If your kids accidentally dump two cups of marshmallows in, it won’t change the recipe that much! Plus, scooping the candy out onto wax paper if a fun thing for the kids to do as well. The only hard part is that they have to wait until they dry and harden before they can eat them! 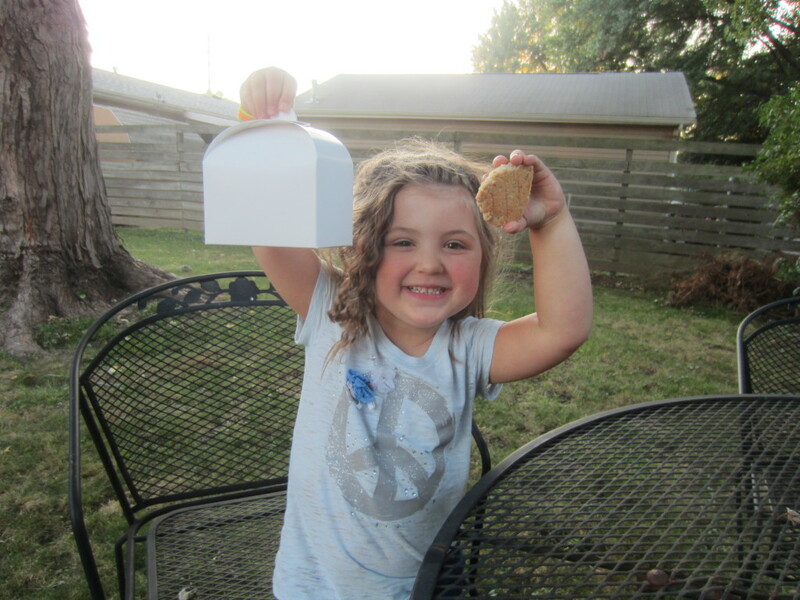 Remember those awesome Treat Boxes I featured a few months back? Those are PERFECT for your kids to decorate and fill with goodies for teachers, friends, or family. They come flat, so you can have the kids color them first, and then fill them after your treats are all done. Buy some HERE! This video is from a couple of years ago, but it is such a great activity to do with the kids…and it’s delicious for everyone!